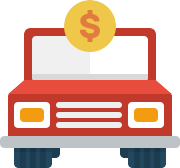 Sell My Car About Us, Cash For Cars About Us | Are You Selling? Since our online inception in 2007, Are You Selling has consistently strived to provide the most outstanding and professional car buying service in Australia. Year on year we expand our network and customer base to allow for greater reach to all Australians, no matter where they’re located. As the online car buying segment is growing rapidly we are constantly adapting and observing this space. As a result, we will never send automatic quotes to our clients. Our team has been trained by the best valuers and industry operators in the country and one of our core values is to never mislead or take the easy option with car sellers. We hope to hear from you soon and look forward to buying your car in the future.